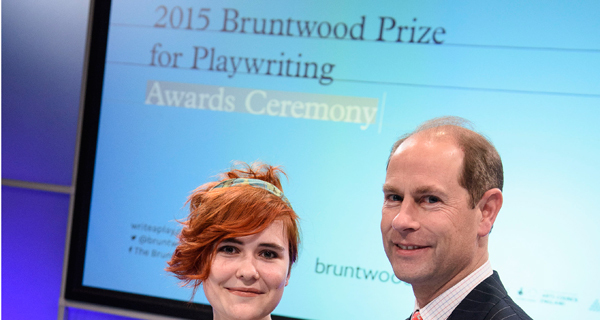 Katherine Soper won the 2015 Bruntwood Prize for Playwriting with her play 'Wish List'. Katherine Soper, who won a major playwriting competition for her play about benefit cuts, has pledged her support to Turn2us by making a donation to help us fight UK poverty. The 24-year-old playwright, who grew up in Surrey and Hampshire, won the 2015 Bruntwood Prize for Playwriting with her play 'Wish List'. It tells the story of a young carer who takes on a zero-hours contract to help support her brother when his benefits are cut. 'Wish List' will premiere at Manchester’s Royal Exchange Theatre on 24 September 2016. Katherine says that elements of the play have been written from family experience and that she wanted to support Turn2us as we combat issues that are ‘close to her heart’. She commented: “The changes to the welfare system have been incredibly alarming to me. Turn2us is a friendly, approachable charity doing a really important job in letting people know they are entitled to help, so they don’t have to struggle by themselves. If you are struggling financially, use our free Benefits Calculator to make sure you are claiming everything you are entitled to. Even if you have checked before, it is worth checking again, especially if there has been a change in your circumstances. There is also our Grants Search, featuring almost 3,000 charitable funds, with information on eligibility based on background, personal circumstances and needs. If you're inspired by Katherine’s story, take a look at our ‘Get Involved' section to find out about sporting challenges and other ways to support Turn2us. You can help us to transform lives and continue to make a vital difference where it's needed the most.